Run to the Rock is a new multi-media work created by critically acclaimed visual and performance artist Amanda Coogan, in collaboration with Deaf communities in Northern Ireland and South Africa. 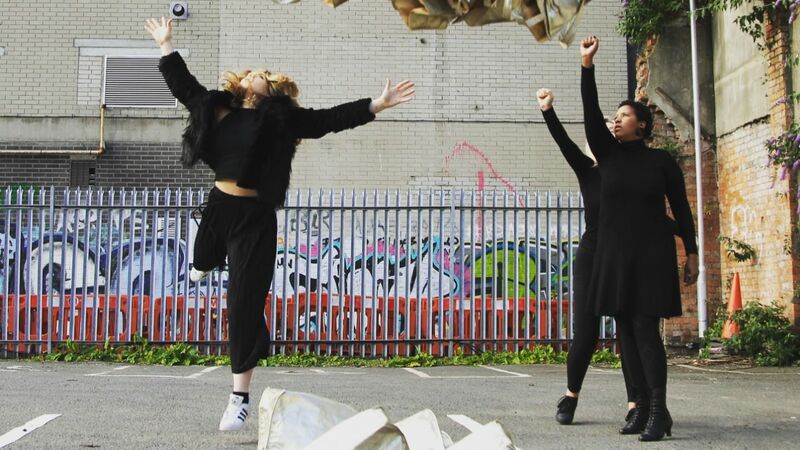 Using a combination of sign language, performance, digital sound and live Instagram streaming, Run to the Rock will explore key themes in Shakespeare’s texts and open up their continuing political relevance and accessibility for global audiences. Individual performers from both Northern Ireland and South Africa will engage with sections of different Shakespearean plays, which will be woven together into a performance that empowers both participants and audiences to provide a fresh new look at Shakespeare’s works. Run to the Rock is a mediation on Shakespeare inspired by the Robben Island Bible, a copy of the ‘Complete Works of William Shakespeare’ which was smuggled among, and annotated by, the single cell prisoners of the South African prison during the period of Nelson Mandela’s incarceration. Co-commissioned by British Council and Belfast International Arts Festival as part of Shakespeare Lives 2016. Generously informed by collaborators Educape and Jazz Hands, based in South Africa. Coogan, whose work usually entails ritual, endurance and cultural iconography, is the leading practitioner of performance in the country.